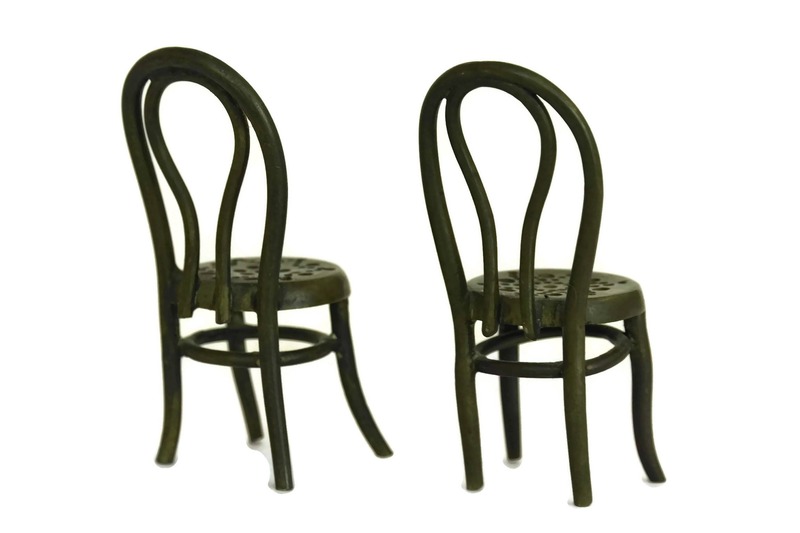 French Doll Chairs. 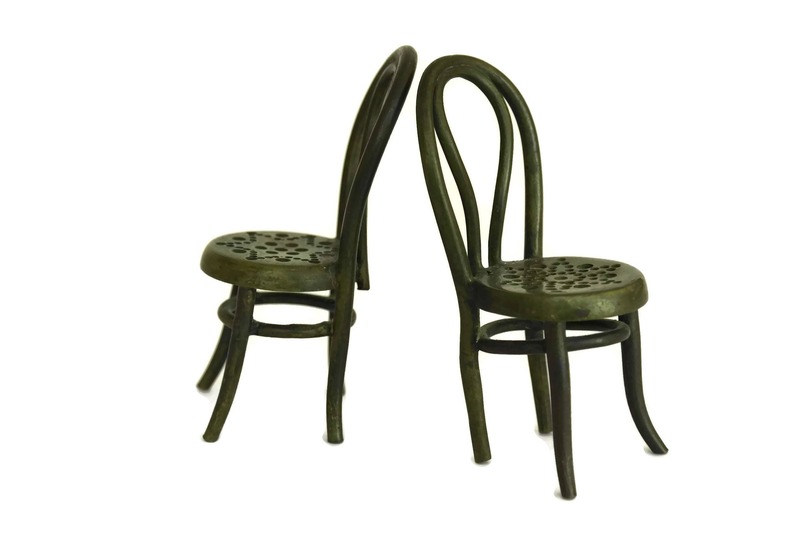 Antique Bronze Miniature Doll's House Furniture. 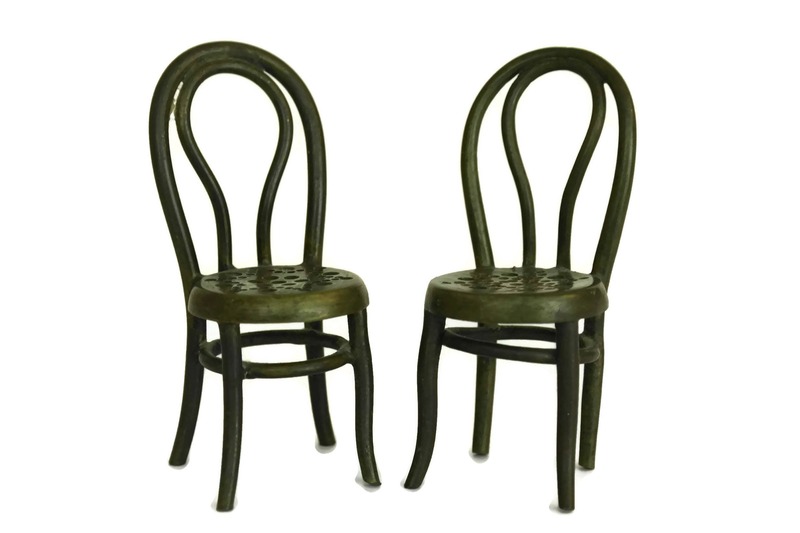 Collectible Pair of Bistro Chairs. 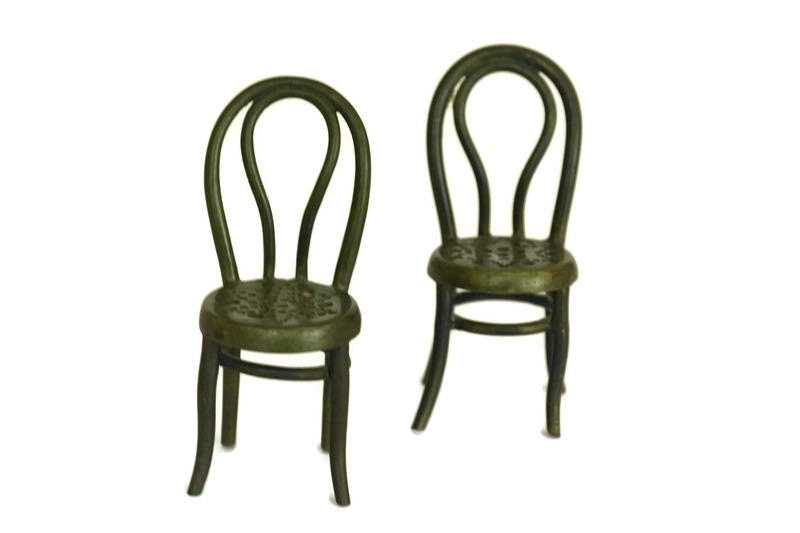 A lovely pair of antique French miniature doll's house chairs created from bronze and dating to the 1940s. 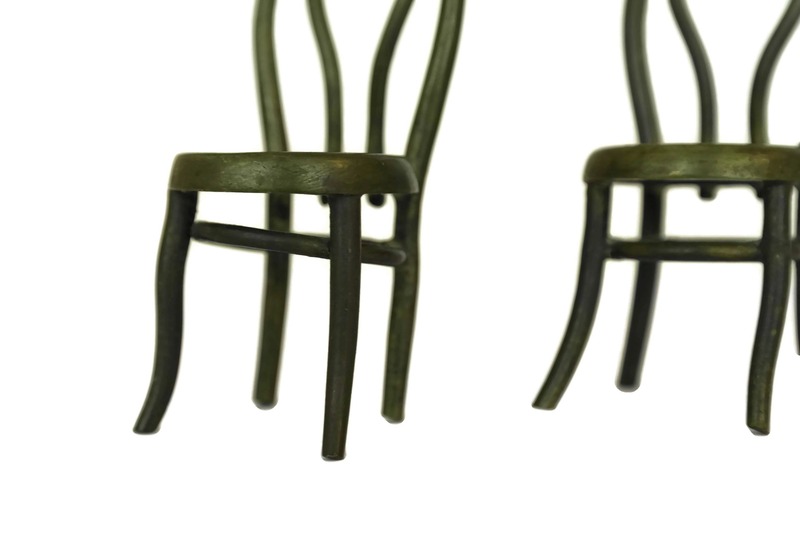 The small bronze chairs have a classic bistro chair design with a stamped motif on the seat. 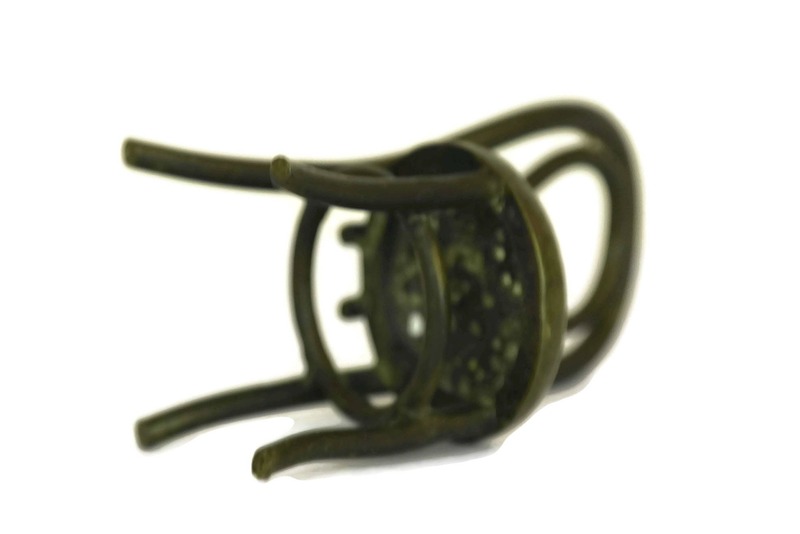 85 mm Tall x 38 mm Wide. 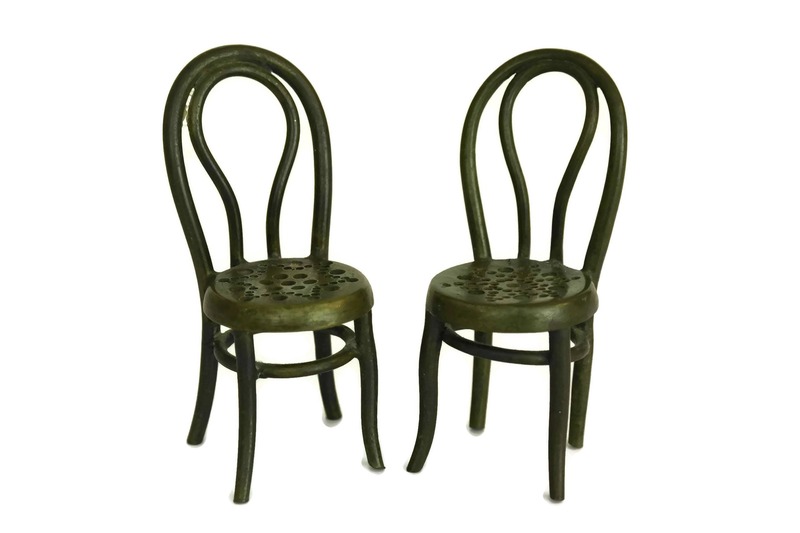 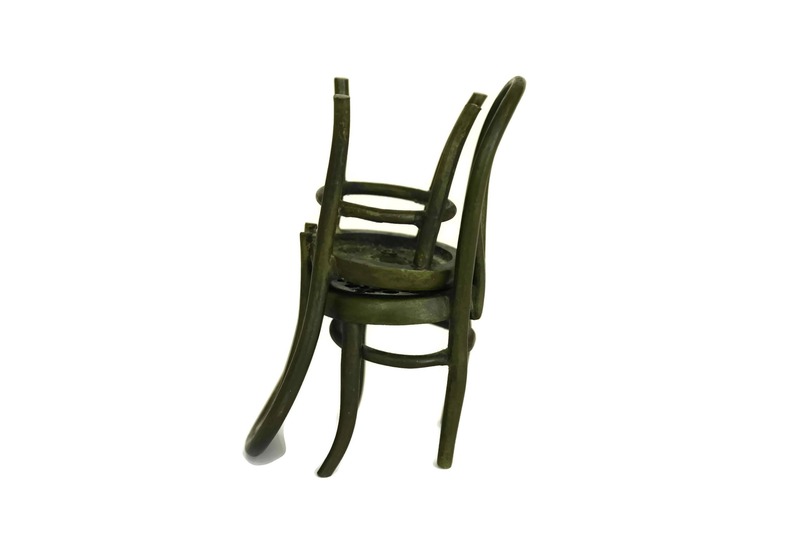 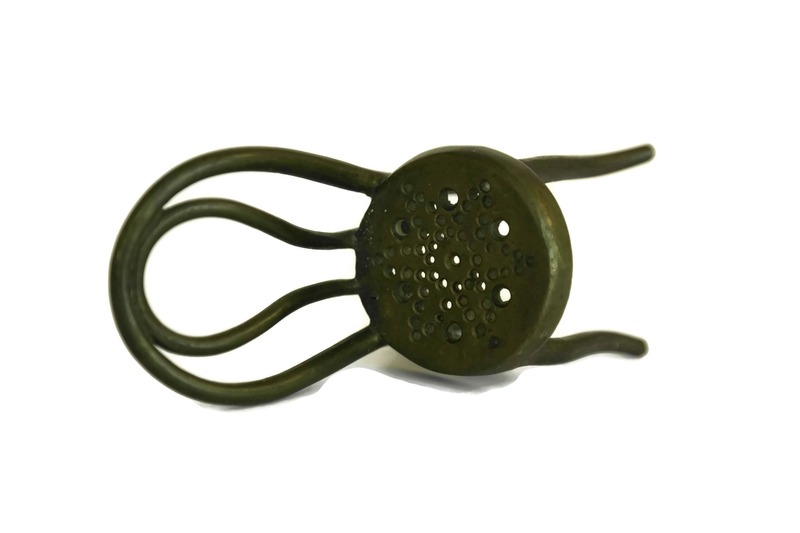 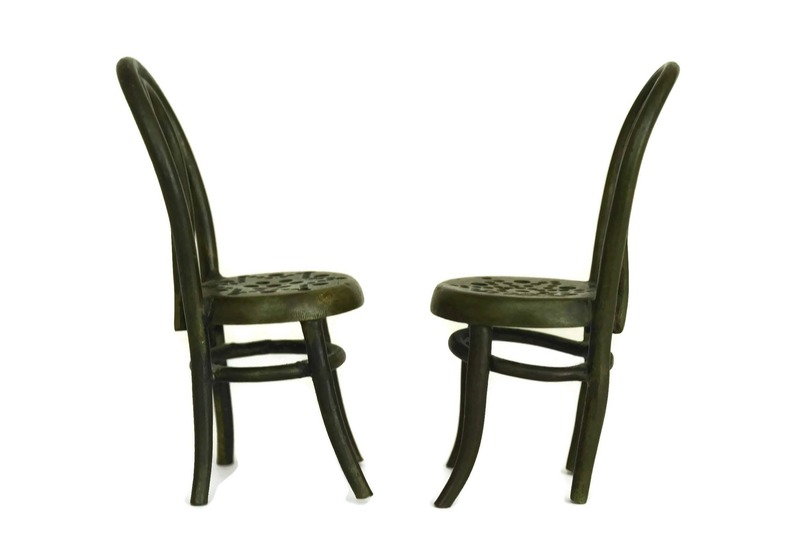 The pair of miniature bronze bistro chairs is in good antique condition with an aged patina to the bronze.